The stature of Max Weber (1864-1920) as an interdisciplinary, historical-comparative social scientist has grown steadily. But in view of Professor Murvar, his work has been misinterpreted with remarkable frequency. The aim of this book is to put right certain misconceptions and misinterpretations of Max Weber's intellectual and scientific legacy. This book challenges assumptions about various aspects of Weber's work; the issues of modernization, evolutionary theories, world systems, growth of liberty, typologies of power structures and legitimacies, among others. 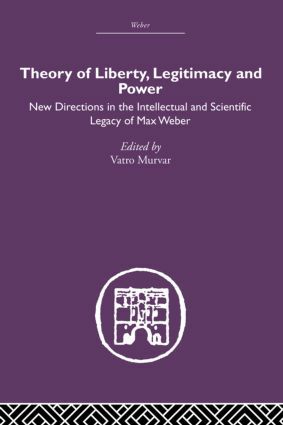 As well as presenting precise criticism and appreciation of the way Weber's work has been handled by his successors, this book also details the specific advancement he himself made within the theory of liberty, legitimacy and power. There is special emphasis on how much Weber's work in these core areas has survived the test of time.